A few weeks ago a reader named Michael wrote a comment in response to my outrage about the changes to the Citrus Swirl. In his response he gave us the mantra Save Our Swirl. This got me thinking about all the little things that have changed inside of Walt Disney World, things that created Magic for us that are now gone, or are in some other form. I’m not talking 20,000 Leagues, Mr. Toad’s, or even Horizons. No, I am talking about things like the change in the Citrus Swirl’s recipe, or the fact that photos are no longer free at the hard ticket parties, or today’s topic, the inside joke that is now gone from the Frontierland Railroad Station. 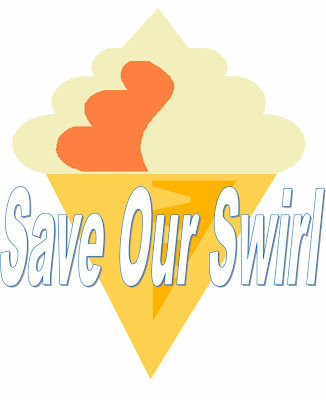 These all fall under the jurisdiction of S.O.S., Save Our Swirl. In and of itself, this is a clever joke that you carry with you long after the film is over, and that’s exactly what the Imagineers in the Magic Kingdom did. On the luggage rack, in the ticket office of the Frontierland Railroad Station, there has long been a wooden leg perched on some luggage with the name printed on the side. I loved this little detail, and made a point of checking on it every trip. In all the times I had seen the leg I only ever snapped one, very blurry, image of the leg. Last week while wandering through Frontierland with my new camera I thought it would be the perfect time to take a new picture, and what do I find, the leg had up and walked away. If I stop there, this is simply a personal travesty, something I am a few others may miss, but there is a deeper story here. The Imagineering Field Guide to the Magic Kingdom talks about the wooden leg named Smith in the section on the Frontierland Station. The Magic Kingdom Field Guide was only published in 2005, so I have to believe that there are guests out there, who love Walt Disney World, picked up the book, found this interesting nugget, and planned to try to spot it on their next trip. However, they will find nothing, no matter how intense their search may be. Will this make or break their trip? Most assuredly not. Yet, I can’t help but add it to the list of small pieces of Magic that are disappearing, and not being replaced. So, I am sounding the alarm, this is the S.O.S. for Frontierland Railroad Station’s wooden leg named Smith. I noticed two very blatant departures from Main Street: The Cinema & Magic Shoppe.